Steinbuilt Homes with its headquarters in Cherry Hill, New Jersey, is in the business of constructing and selling homes. As per available records, it was founded in 1987 and incorporated in New Jersey. Classified under “Mobile Homes”- Improvements, it is a private company for which Albert Stein is the owner and Arthur M. Stein is the President. The Steinbuilt homes company is a contracting firm building single family homes and selling them. Also, the company's another important business is doing mobile homes improvements. It is a single location company operating from Cherry Hill. The number of staff on the regular rolls is about 4, the other workers numbering about 45 being employed on contract basis. There are currently 0 consumer reviews about Steinbuilt Homes available. Share your review. Please take a note that you are about to post a public review about Steinbuilt Homes corporate office on CorporateOffice.com. This review will be public, so please do not post any of your personal information on this website. 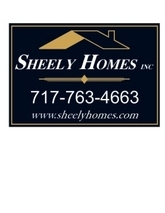 If you would like to contact the corporate offices of Steinbuilt Homes, please use their contact information such as their phone number, website, and address listed above to contact them. However, sometimes staff from Steinbuilt Homes headquarters do read the reviews on this website.